I remember the COO and partner of Creative Civilization asked me to meet with a potential client, a nun who was coming in to talk about a project. I met with Sister Teresa to get an idea of the project. After some quick intros, I found out she wanted a brochure for scholarship program, but she didn’t have any money. Seems to be something we hear a lot in the industry. Believing her program was a worthy cause, I decided to take the project myself and work on my own time to produce the brochure she needed. After the design was approved, I brokered a deal with a local printer to produce the brochures for free, and the project was complete. A week later the receptionist at Creative Civilization called me to the front. Sister Teresa was waiting for me with a large bag and a smile. As I approached her she thanked me for the brochure and handed me the bag. She told me she had several people help her make tamales just for me. 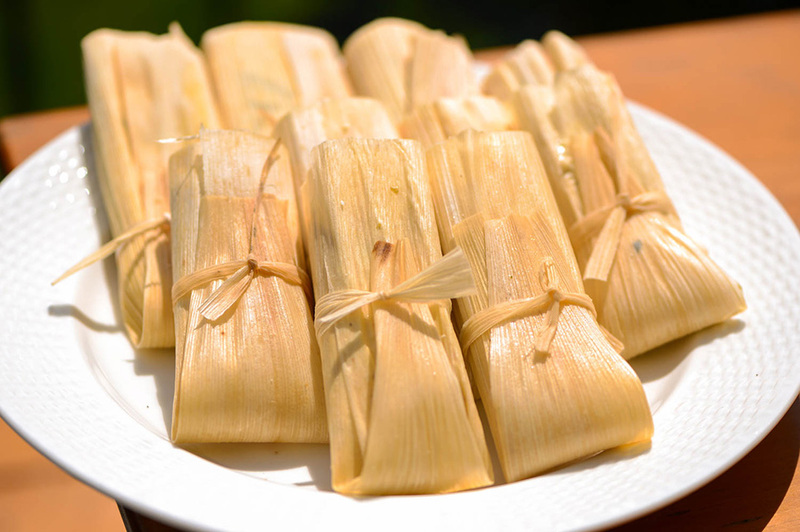 In total, I think there were about 50 tamales in the bag. It was a welcome surprise (especially because it was almost lunch time). That day almost everyone at Creative Civilization enjoyed the tamales. Needless to say the experience was one that I love to share with young designers. Sometimes it’s not about the money, it’s about doing something good. As designers, we tend to be futurists. We believe our designs can make the world a better place (or at least a more attractive place). The next time you’re asked to do a job without any form of compensation, consider it. Even if you don’t receive anything in return, you can be sure of several things. First, you will feel good about helping an organization that can’t afford your caliber of work. Second, you can request creative control as a part of your conditions for volunteering your skills. With creative control, while you must ensure that you retain their brand standards if they have any, you can produce work that is a little more conceptual. Third, if you are happy with the outcome, you’ll have another piece for your portfolio. When I speak to young creatives or start-up design studios I always tell them to "think twice before turning down a pro bono gig. You never know, there might be 50 tamales in it for you."